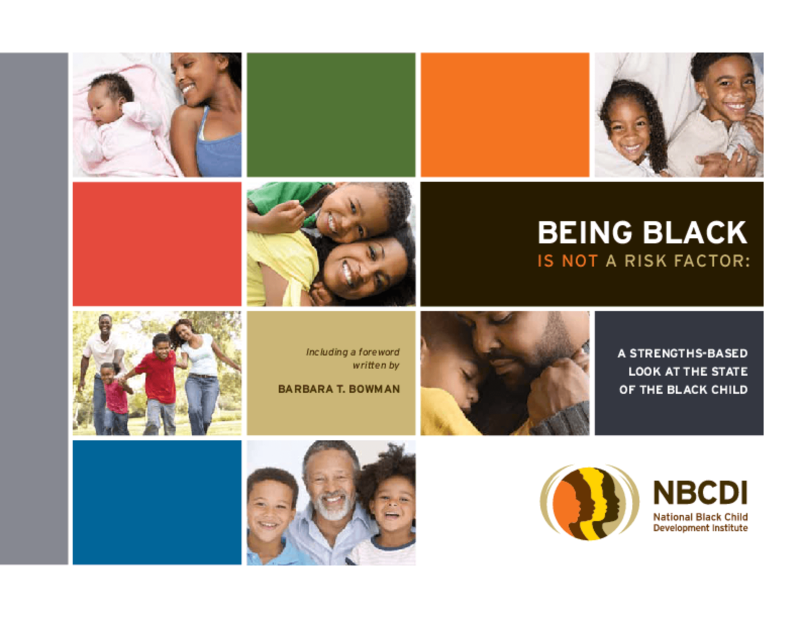 Beyond Plight: Defining Pathways to Optimal Development for Black Men and Boys across the Life Course is ABFE's contribution for creating better lives for us, and, by extension, our world. It is a long title, which challenges us to look beyond quick solutions. 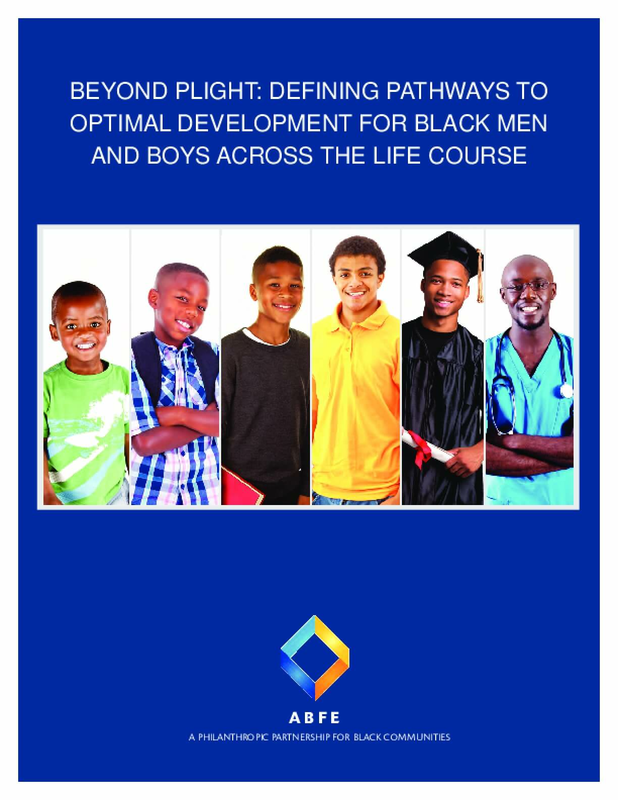 The observations and recommendations within Beyond Plight were based upon input from funders and practitioners who have invested resources and brain power into better outcomes for Black men and boys – some for their entire professional careers. We connected with key thought leaders, whose names you find on page three. These are people who have been committed to this work for some time and even invoke their lived & shared experiences – this isn't theory. It also continues the work of practitioners who looked into the early childhood aspects of optimal development, through our previously released report, titled, "Exceeding Expectations: A Shared Vision for Impact and Definitions of Success for Black Men and Boys". Almost eight years after Barack Obama's election as the nation's first black president –an event that engendered a sense of optimism among many Americans about the future of race relations – a series of flashpoints around the U.S. has exposed deep racial divides and reignited a national conversation about race. 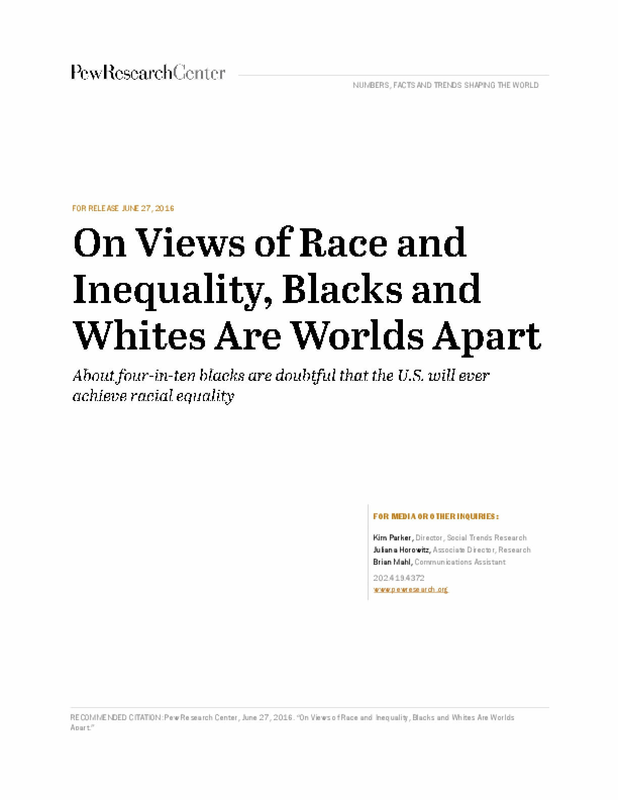 A new Pew Research Center survey finds profound differences between black and white adults in their views on racial discrimination, barriers to black progress and the prospects for change. Blacks, far more than whites, say black people are treated unfairly across different realms of life, from dealing with the police to applying for a loan or mortgage. And, for many blacks, racial equality remains an elusive goal. 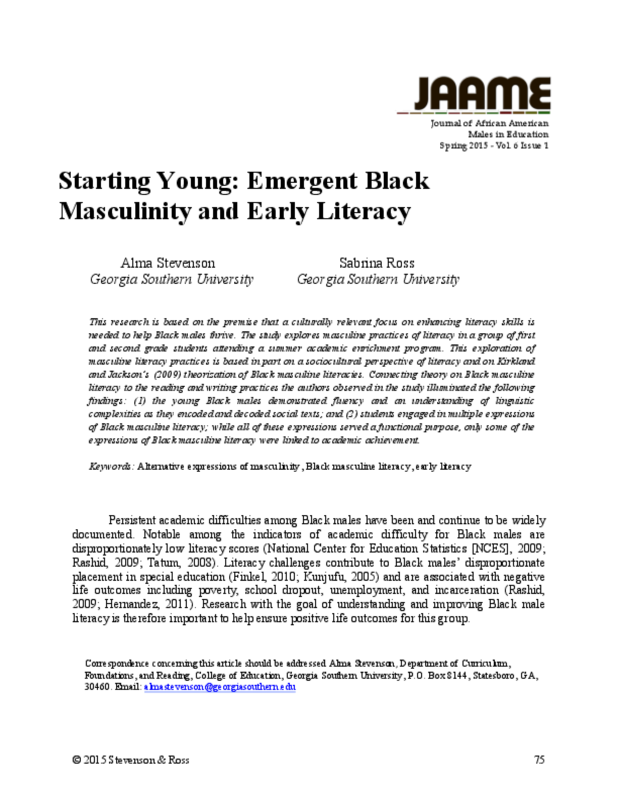 With the goal of understanding and improving Black male literacy to help Black males thrive and excel, this study explores masculine practices of literacy in a group of first and second grade students. The authors found that the young Black males demonstrated an understanding of linguistic complexities in both literary texts and social interactions. Students engaged in multiple expressions of Black masculine literacy. While all of these expressions served a functional purpose, only some of the expressions of Black masculine literacy, especially expressions of alternative masculinities that did not conform to social norms, were linked to academic achievement. This report is the first in a series that examines the work of the Office of African American Male Achievement. This stage of analysis examines the Manhood Development Program, from its inception in 2010 to its current practices and future goals. The Manhood Development Program is a daily elective course during the school day taught by African American males that engages, encourages, and empowers African American male students. 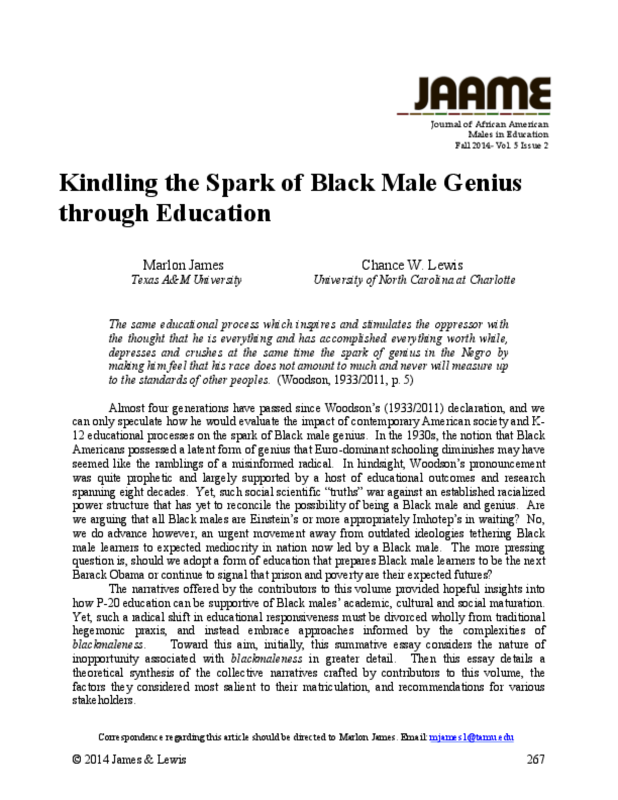 This essay examines the nature of inopportunity associated with blackmaleness, synthesizes the narratives of the other contributors to this issue of the journal, and offers recommendations for how education can support Black males' academic, social, and cultural maturation. While African American males face daunting economic and educational challenges, James and Lewis argue that they can navigate through them to obtain academic and career success while still maintaining their identity as Black males. Black men are uniquely positioned to help guide black male youth to educational success and a productive future and through the barriers that stand in their way. 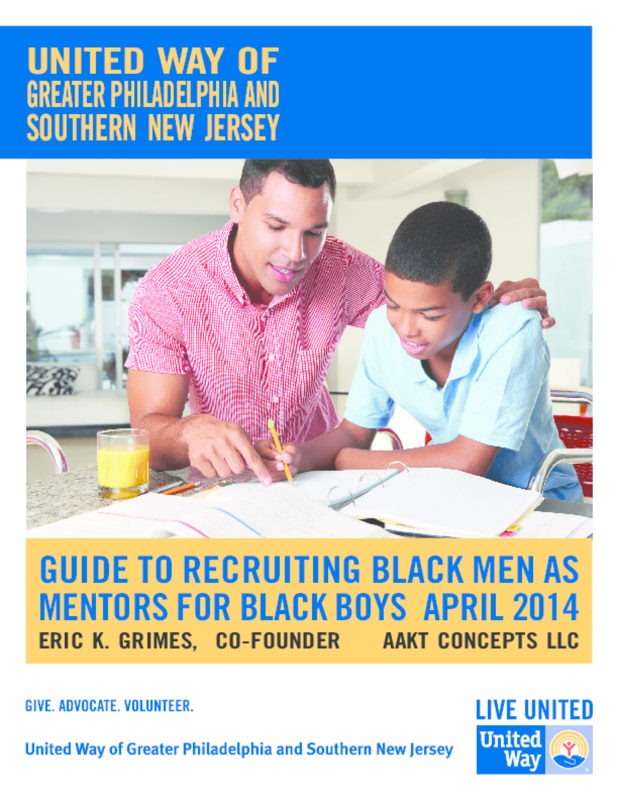 But there are almost always more black boys to be mentored than black men to mentor them in formal mentoring programs. This guide helps mentoring programs engage in a productive and inclusive recruitment campaign by: 1) addressing program readiness; and 2) providing guidance on an effective social marketing campaign. 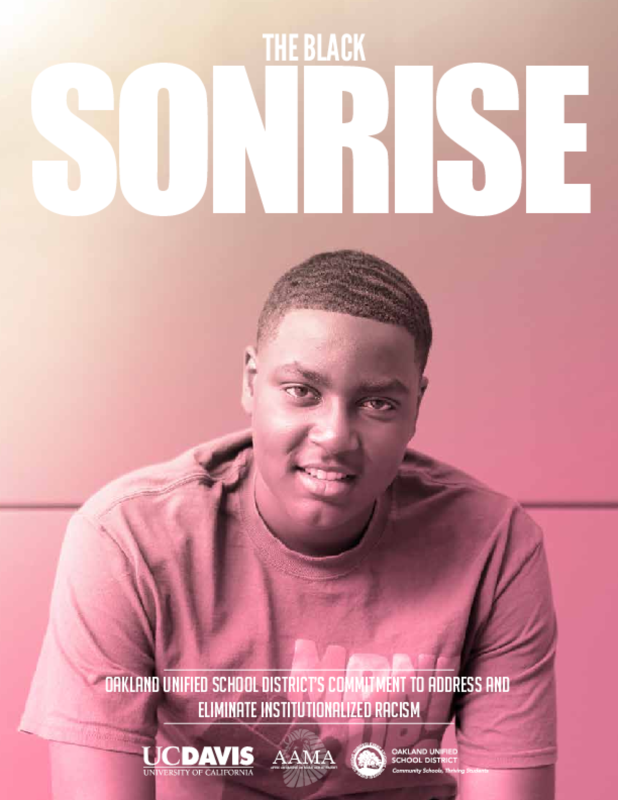 Including nine essays from experts and five "points of proof" organization case studies, this publication challenges the prevailing discourse about black children and intends to facilitate a conversation around strengths, assets, and resilience. It addresses the needs of policymakers, advocates, principals, teachers, parents, and others. 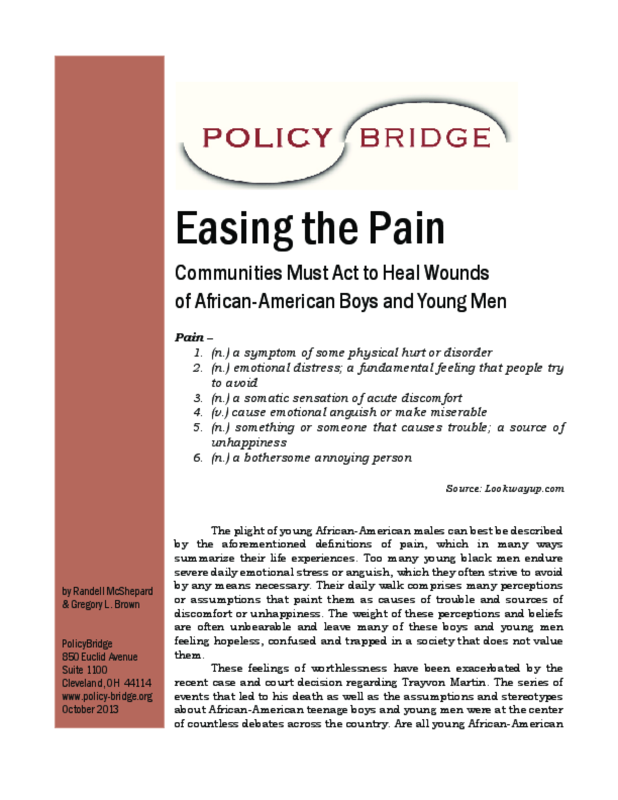 This report looks at the struggles of Black boys and young men and how pain is the root of the problem. It attempts to answer the questions, "Who Cares? ", "Who Understands? ", and "Who's Responsible? ".